This recipe is great for using up soft fruit past it’s best, but not when it’s gone so far that it has reached the mouldy stage – at this point the compost is the best place for them! 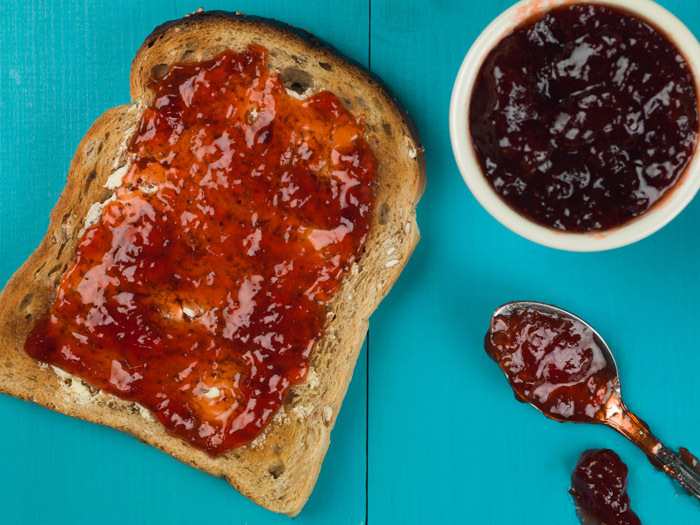 This fruit jam is more like a compote than a normal jam and needs to be eaten within a few days. It's quick to make and is lovely served with scones, on toast, mixed into yogurt or spooned onto ice cream. You could also use raspberries or blackberries for this recipe. Put the soft fruit into a large pan with the caster sugar and crush lightly with a fork. Put the pan over to gently heat and bring to the boil. Remove the scum that comes to the surface with a spoon. Reduce the jam until it becomes quite thick, then pour it into a bowl and allow to cool. Refrigerate until needed. This is a great way to use up any leftover pasta. As well peas, you can add whatever frozen veg you have e.g. green beans. Did you know that here in the UK each and every one of us throws away 110 kg of food every single year – that’s the same weight as a baby elephant or a female sea lion!